I was sad to see Helene Tursten's Detective Inspector Irene Huss mystery series come to an end. Well, it's always sad when a favorite series ends, but I really can't fault writers for running out of ideas to keep a series fresh or just wanting to try something new. When I learned that Tursten had the first book in a new series due to be released at the end of February, I did a little happy dance. 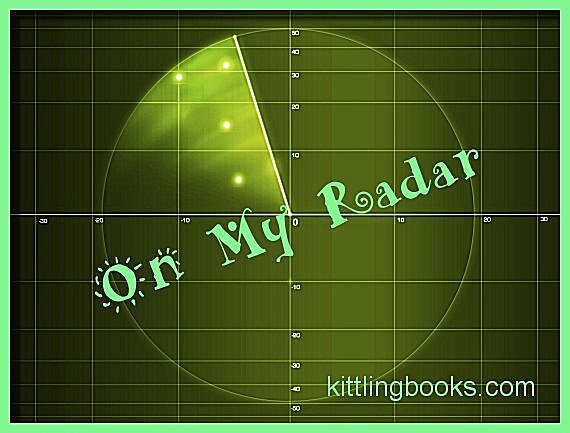 I'm really looking forward to beginning a new journey with this author, and when I tell you a bit about the new book, you might be, too! Synopsis: "Twenty-eight-year-old Embla Nyström has been plagued by chronic nightmares and racing thoughts ever since she can remember. She has learned to channel most of her anxious energy into her position as Detective Inspector in the mobile unit in Gothenburg, Sweden, and into sports. A talented hunter and prize-winning Nordic welterweight, she is glad to be taking a vacation from her high-stress job to attend the annual moose hunt with her family and friends. But when Embla arrives at her uncle’s cabin in rural Dalsland, she sees an unfamiliar face has joined the group: Peter, enigmatic, attractive, and newly divorced. And she isn’t the only one to notice. One longtime member of the hunt doesn’t welcome the presence of an outsider and is quick to point out that with Peter, the group’s number reaches thirteen, a bad omen for the week. Sure enough, a string of unsettling incidents follows, culminating in the disappearance of two hunters. Embla takes charge of the search, and they soon find one of the missing men floating facedown in the nearby lake. With the help of local reinforcements, Embla delves into the dark pasts of her fellow hunters in search of a killer." I think we could almost be forgiven for thinking that Tursten has created in Embla Nyström a younger version of Irene Huss. There are similarities, but I don't remember Huss being plagued with nightmares, and Nyström definitely sounds like an outdoors person, doesn't she? Any fellow Huss fans out there who are looking forward to this book, too? 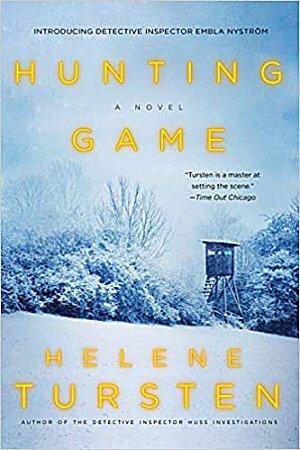 Or... are you new to Helene Tursten's work and think this book sounds like something you want to read? Inquiring minds would love to know! I'm looking forward to reading this one, too, Cathy. I like TUrsten's writing, and I enjoy her Irene Huss novels. I really like the way she develops her characters. I have not read Tursten...but now I will! And yes, reaching the end of a series is like the day after Christmas. A bit gloomy. I hope you enjoy Tursten, Laurie! I have not read the Irene Huss books, but I intend to read them. And this one sounds great too. Getting excited about new series and catching up on older ones. I have the "new series" down pat. It's the "catching up" on the older ones that I need serious help with. I could probably devote an entire year to nothing but that, and I'm not sure I'd be caught up even then. Yikes! Oh, I don't know about this. I kind of like stable characters. I mean V.I. Warshawski has quirks, but she is very strong and stable. I turned the last page of the last Irene Huss book and went into post-good-series slump for a few days. I don't know if this book will do the trick. I like Huss's family life, her co-workers and her healthy lifestyle and outlook. Not a dysfunctional detective, not quirky, but stable and courageous. Not too many around these days. No, there aren't, but I think it's going to be interesting to see what Tursten does with this character. Who says she has to stay dysfunctional? Good point. I may give it a try.